A blast of wintry weather greeted Texas A&M University graduate students and professors from the College of Architecture during their spring break 2008 trip to Pointe du Hoc in Normandy, France, as they continued to document the historic World War II site. The site, where U.S. Army Lt. Col. Earl Rudder led a charge up 90-foot cliffs to engage the German Army during the World War II D-Day invasion, is in danger of collapsing into the English Channel because of the erosion caused by the high winds and constant pounding from the channel’s waters. Rudder, who survived the carnage, went on to become president of Texas A&M. 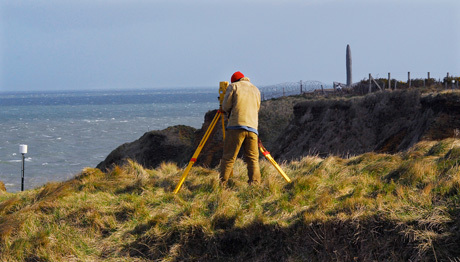 Above: Josh Gowen, a graduate geophysics student, uses the total station on the cliff top. At right is the memorial to the 2nd Ranger battalion. Texas A&M University’s Center for Housing and Urban Development and the Mexican consulate in Brownsville have teamed up to provide health and social service information in the Brownsville area. The center is part of Texas A&M’s College of Architecture. At an April 11, 2008 ceremony at the consulate, Cándido Morales, head of the Mexican government’s Institute for Mexicans Abroad, representatives from CHUD’s Colonias Program, and consulate staffers announced the partnership. The Architecture Ranch was ablaze with light April 25 when students in Jill Mulholland’s architecture studios presented “Circus of Lights,” the latest in a series of the popular end-of-semester light shows. This spring, the show moved from its previous venue at the college’s Langford Architecture Center to the Built Environment Teaching and Research Facility, or “Architecture Ranch,” at Texas A&M’s Riverside Campus. Landscape architect Mark Ferguson talks with students about their designs for Gateway Park. 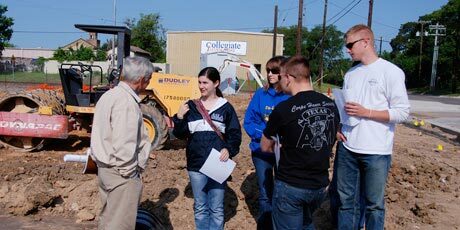 Among the din of construction equipment, piles of rocky dirt, and construction workers installing rebar, Jody Naderi's first-year landscape architecture students got to see how design becomes reality during an April 28 visit to the Gateway Park construction site in downtown Bryan. Landscape architect Mark Ferguson of CLM construction, who reviewed the students’ designs for the park before submitting a final design to the Bryan City Council, was also at the site with the students. 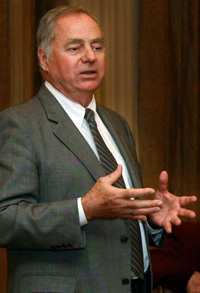 Ferguson received a Bachelor of Landscape Architecture degree from Texas A&M in 1970. Krystyn Haeckler points out unique features in her design. Ken Yeang, a pioneer in designing sustainable high-rise buildings and a professor of practice on the Texas A&M University Department of Architecture faculty, critiqued student design work during an April 25 visit to the college. During the critique, Yeang recalled a recent conversation he had with Rodney Hill, professor of architecture at Texas A&M, when the two discussed how, in the near future, buildings that don’t generate their own energy might not get building permits. On April 22, Peter Lang presented “Road Map to the Future,” a presentation that was part of “A Night of Provisional Futures,” an architectural “happening” at the Netherlands Architecture Institute (NAI) in Rotterdam. Peter Lang, assistant professor of architecture at Texas A&M University, joined by four students from the Santa Chiara Study Center in Castiglion Fiorentino, Italy, where he teaches, recently participated in a major European architectural event in Rotterdam, The Netherlands. An Aggie is in charge of the construction of a $156 million addition in the north end zone of Royal-Memorial Stadium, home of the Texas Longhorns football team. Kevin Carr ’91 BDCR, is the project manager for Hensel Phelps Construction Co., which is building the complex and a host of Texas A&M construction science graduates are on his team. Artist in residence Terry Allen talks with students about the creative process. Recording and conceptual artist Terry Allen worked with students at Texas A&M University as part of the College of Architecture’s Artist in Residence program. Students joined Allen from April 11-17 as they investigated where ideas come from and how they might be developed into making a work of art. 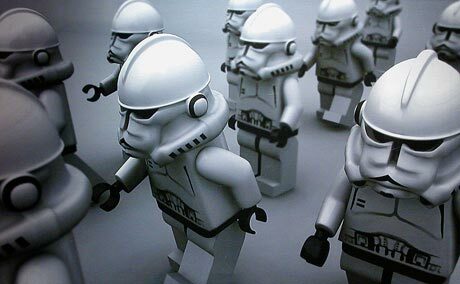 The primary focus of the weeklong workshop was about generating concepts, not finished work. The College of Architecture turned green on Earth Day 2008 with the kickoff of its Maroon is Green Sustainable College Initiative. The April 22 Maroon is Green launch included an environmental fair, live music, sustainable living demonstrations, guest speakers and even green cuisine — an assortment of locally grown organic vegetable dishes. 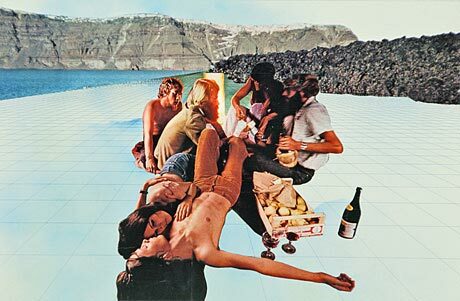 "Supersurface," 1972, an image from MAXXI's Superstudio archive that will be included in a Jan. 2009 exhibit at MAXXI being curated by Peter Lang, assistant professor of architecture at Texas A&M University. Peter Lang, assistant professor of architecture at Texas A&M University, is shining the limelight on 20th Century radical Italian designers as a curator or co-curator of two upcoming exhibits in New York City and Rome. Additionally, an article Lang penned on radical Italian designer Ettore Sotsass, garnered international acclaim when republished by Abitare, a popular European architecture magazine. Still work created by students in the Master of Science in Visualization Sciences program at Texas A&M was on exhibit at Rudder Theatre during the 15th annual Viz-a-GoGo. Underlying this year’s theme, “Technobabel,” was the ”idea that current technology is a grand experiment that we’re all a part of,” said Karen Hillier, a professor in the Department of Visualization at the Texas A&M College of Architecture. Students in the Master of Science in Visualization Sciences program in the Texas A&M Department of Visualization promoted their 15th annual showcase of student work, Viz-a-GoGo, with a variety of interesting posters. For his significant impact in the construction industry and ongoing support for the Department of Construction Science at Texas A&M University, Gary Joeris, president of Joeris General Contractors, recently received the Constructor Hall of Fame Award. The honor, presented annually to a non-Aggie leader of the construction industry by the Department of Construction Science and the Construction Industry Advisory Council, was given to Joeris at the department’s April 24 awards banquet at the College Station Hilton. Texas A&M College of Architecture former students Jean Mah ’71 and Gordon E. Landreth ’67 were elected to the American Institute of Architects’ College of Fellows in January 2008. The investiture of Mah, Landreth and other new AIA Fellows will take place during the AIA National Convention in Boston this month. Fewer than 2% of all registered architects in the United States are elected to fellowship in the AIA. Richard Riveire ’83, an Outstanding Alumnus of Texas A&M University’s College of Architecture, now heads the Los Angeles office of the new RottetStudio, which is the successor to the dissolved DMJMRottet. With partner Lauren Rottet, Riveire helped build DMJMRottet into a firm with a reputation for designs successful in responding to client needs and in setting new standards in highly competitive business requirements. Pliny Fisk, associate professor of architecture and landscape architecture at Texas A&M University’s College of Architecture, was featured in the Q&A section of the April issue of Urban Land magazine, a publication of the Urban Land Institute. In the magazine, Fisk explains the Eco-BalancePlanning and Design approach he developed and is teaching at Texas A&M. On April 4, 2008 Fisk discussed Eco-BalancePlanning and New Urbanism at the annual Congress for New Urbanism in Austin. Among the presentation’s attendees, was Andres Duany, one of the Congress for New Urbanism’s founders. On May 14, Fisk, with three other participants, will present “Breakthrough Community Design Planning: Four Perspectives” at the American Institute of Architects 2008 National Convention and Design Exposition in Boston. For maintaining sustained, helpful and inspiring professional relationships with students at the Texas A&M College of Architecture, Leslie Feigenbaum, the college’s assistant dean for undergraduate studies, recently received a 2008 Association of Former Students University Distinguished Award. Feigenbaum, a senior lecturer in the Department of Construction Science, was one of two honorees earning the award in the student relations category at the April 29 ceremonies in the Rudder Theatre. José L. Fernández-Solís, assistant professor of construction science at Texas A&M University, was selected as an Outstanding Corps Academic Mentor of the Year by the Texas A&M University Corps of Cadets. Fernández-Solís served as academic mentor for company A-2, a new company, formed in the fall 2007 semester, which consists of students enrolled in College of Architecture degree programs. “It’s been one of my most exciting experiences and a good way for me to meet the Aggie Spirit and Aggie family,” said Ferrnández-Solís, who joined the Texas A&M faculty in 2006. 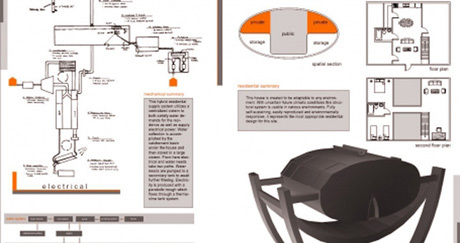 Two Texas A&M College of Architecture faculty members contributed articles to the winter 2008 issue of HERD, the Health Environments Research & Design Journal. D. Kirk Hamilton, FAIA, FACHA, a professor of architecture at Texas A&M, is the publication’s co-editor with Jaynelle Stichler, associate professor of nursing at San Diego State University. Mardelle Shepley, director of the Texas A&M University Center for Health Systems & Design and professor of architecture, wrote “Healthcare Architects' Professional Autonomy: Interview Case Studies,” with Duk-Su Kim, a lecturer at Hanbat University in South Korea. Phillip Tabb, professor of architecture at Texas A&M University, will serve as architect in residence this summer at the Serenbe community, an environmentally friendly residential development southwest of Atlanta. For several years, Tabb has been the development’s master planner. This summer, he will reside in one of Serenbe’s four hamlets. The hamlets accommodate different housing types and nonresidential activities, public space for light recreation, community gardens, vegetated wetlands and recirculating sand filters. Texas A&M landscape architecture student Jason Castro, with his signature dreadlocked hair and easy smile, became a familiar sight to viewers of “American Idol” as he survived week after week of viewer voting. On May 7, his journey to Idolhood ended when he was voted off the show, leaving just three contestants remaining. Two professors at Texas A&M University’s College of Architecture and two of their colleagues have received a patent from the U.S. Patent Office for their development of a system for remote energy consumption identification. Jeff Haberl and Charles Culp, professors of architecture, along with David Claridge and William Turner, Texas A&M engineering professors, developed the system. Texas A&M students studying abroad in Italy in the spring 2008 semester created designs for a self-contained, socially autonomous and economically balanced micro-urban environment on land occupied by a closed sugar beet processing factory. They worked with Peter Lang, assistant professor of architecture at Texas A&M University’s Langford Santa Chiara Center, located in Castiglion Fiorentino, Italy. The factory is what’s called a brownfield site, defined as an abandoned, idled, or underused industrial and commercial facility, where expansion or redevelopment is complicated by real or perceived environmental contaminations. Chris Carson ’56, FAIA, an outstanding alumnus of the Texas A&M University College of Architecture, has designed a home for media magnate Ted Turner at his Armendaris Ranch in New Mexico. When Carson went to inspect the site at the 350,000-acre ranch, he found two stakes in the ground — one, where Turner wanted the front door to be, and another where he wanted a view from his bedroom window to the Fra Cristobal Mountains. The result is a desert lodge built in the Territorial style and built to suit Turner’s strict environmental standards. The Aggie Solar Decathlon groHome, Texas A&M College of Architecture’s entry in the 2007 U.S. Department of Energy’s Solar Decathlon competition, is tentatively slated to open later this month for public tours at the George Bush Presidential Library in College Station, said Charles Graham, executive associate dean at the college. The home, being reconstructed adjacent to the museum’s parking lot, must undergo a litany of safety inspections before it can be opened for public visits. Details on the groHome tour schedule are to be announced. For more information, contact Dawn Trog at 979-845-1222 or dtrog@archmail.tamu.edu. The home was originally erected on the National Mall in Washington D.C., in a solar village that included competition entries from universities around the world. 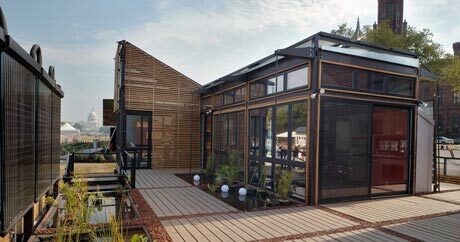 The Aggie entry captured the Solar Decathlon’s Student Choice Award from the American Institute of Architecture Students and the American Institute of Architects’ Committee on the Environment. The structure also took top honors in the Student Building Category of the Lifecycle Building Challenge at the 2007 West Coast Green Conference in San Francisco. “Between the Lines,” the result of work done by students guided by artist Paolo Piscitelli, was on display in April at the Langford B Exhibit Hall. Piscitelli was at the Texas A&M University College of Architecture for his second stint as an artist in residence. 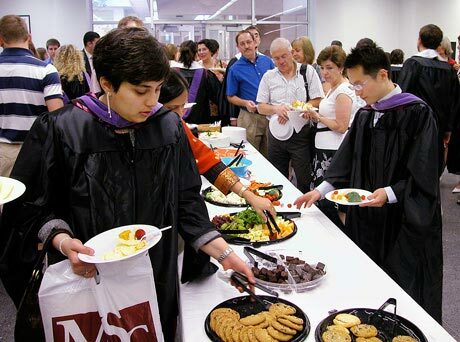 New graduates in master’s and Ph.D. programs from Texas A&M’s College of Architecture enjoy refreshments following the college’s graduation honors and recognition ceremony at Preston Geren Auditorium May 9 at the Langford Architecture Center. Also recognized at the ceremonies were students graduating with honors from the college’s four departments. Students, faculty and staff at Texas A&M University can begin using howdy.tamu.edu, a secure Web portal, to connect to personal university information and other important internal and external university links. Users needing to access personal university information can still do so as they have in the past, until Howdy becomes the required method in fall 2009. For more information about Howdy or to begin using its “one-stop shop services,” visit http://howdy.tamu.edu. Transportation Services has made it easy for faculty and staff members to avoid having their bikes included in a summer abandoned bike roundup. Texas A&M faculty and staff members who ride bikes on campus need only wrap a rubber band on their right handlebar to avoid their bikes being taken in a May roundup of abandoned student bicycles. Beginning May 12, Transportation Services personnel will begin removing abandoned bikes, as well as all bicycles not parked in designated bike parking areas. For questions or more information, contact Rod at rweis@tamu.edu.